You are here: Home / Blog / Why wasn't I getting emails from The Mountaineers? If you're a long time member with The Mountaineers with a Comcast.net email address, you may have noticed you've received fewer emails from us this past year. Comcast wasn't playing well in the proverbial sandbox with us, but we've made two big changes this past month to fix the problem. We switched to a private IP address. We partner with a company called ExactTarget to send our emails. They buy IP addresses to send emails “from”, and they're responsible for actually delivering our emails after we write and schedule them to go out. IP addresses cost money, and so for smaller organizations like ours (who do not want to pay for an individual IP), ExtactTarget will provide a shared IP. Email service providers (like Comcast) read all incoming emails from a shared IP as coming from the same user, or "place". Since we shared an IP address, we were at risk for gettubg "dinged" by email service providers (like comcast, gmail, etc.) when another organization sharing our IP did something bad (like send spam or fail to use best email practices). Now that we have a private IP address we solely control our sender reputation, and our emails are no longer being blocked by Comcast or other emails providers as spam. Previously we shared an IP with a number of other organizations and companies. Note: a shared IP does not mean we shared any of your personal information with outside companies also on that IP. (about 2,400 in total) who stopped recieving messages as a result of the shared IP. The reactivated users were sent a re-engagement email, providing an 'unsubscribe' option for those wanting to opt out. Our reporting indicates all of the reactivated users have successfully received our messages. Of the 2,400 people we reached out to, only 34 choose to unsubscribe. The first email we sent after our resubcribing Comcast users was our Veteran's Day message on November 11, which went out our main Membership Matters mailing list (around 19,000 guest and regular members). The message didn't have any Comcast issues. On November 15, we sent our Events & Activities email, which was also successful. 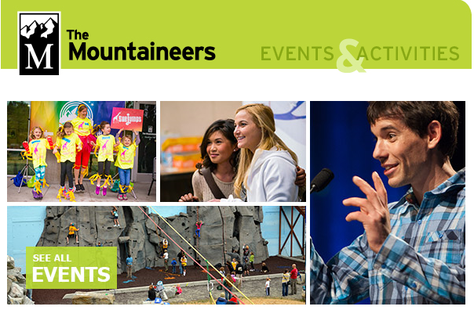 If you have specific questions, please let me know with an email to peterd@mountaineers.org.